Read more about What is famine, and how can we stop it? The countdown has officially started – and I’ve been blown away by the support I’ve received from friends in the industry. 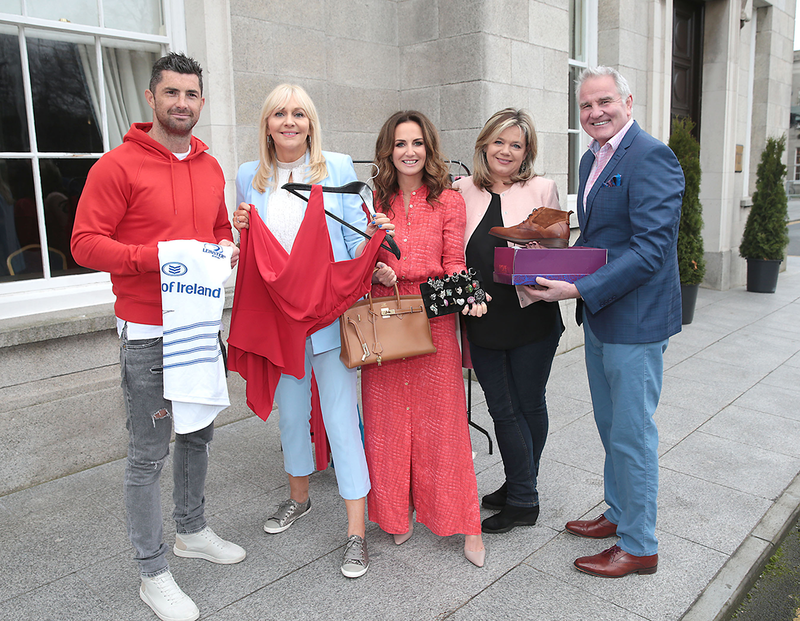 So many well-known faces from the world of television, rugby, entertainment and fashion volunteered their time to join me at the launch of FASHION RELIEF – Ireland’s biggest fashion fundraiser in aid of the hunger crisis overseas. I returned from a visit to East Africa last November and quickly realised that very little was being reported on the region’s hunger crisis. How can 20 million people facing starvation not be big news? I also thought about the amount of stuff I have. So many of us have too much while others have nothing. So I decided to organise an event that I would enjoy – a fun day out of fashion shows and shopping where everyone could bag a designer bargain, and celebrities could sell their unwanted clothes and accessories to help others. I approached Oxfam Ireland and FASHION RELIEF was born! Oxfam Ireland is the perfect charity to work with, because not only do they work in these areas, they also have 48 shops nationwide where the public can drop off their donated items. Together, we knew we could make a difference. I’m really excited to be hosting such a unique event for such a great cause – and looking forward to seeing you in the RDS on Sunday 13th May for what promises to be a day of designer bargains from the wardrobes of both the public and the stars. There’ll be something for everyone, with clothes and accessories starting at just €5. We’ll also be showcasing new pieces from designers and retailers as well as lots of pre-loved donations – not just mine, but from people like Oxfam Ireland ambassadors Andrew Trimble and Lorna Weightman, and celebrities like Cillian Murphy, Miriam O’Callaghan, Brent Pope, Rozanna Purcell, Liam Cunningham, Yvonne Connolly and Kathryn Thomas. The list is endless! Some of my friends in the industry have kindly offered to staff stalls on the day, while others will be modelling their designer donations during two fashion shows – at 1pm and 3pm. Everyone I know is eager to do their bit. So please, come and join us – you could be making a world of difference. Tickets for FASHION RELIEF are just €5 – and are on sale now. Even if you’ve already got your ticket in the bag, there are lots of other ways to get involved. Bag up any pre-loved or new clothes, accessories or handbags – just make sure they’re in good condition and ready for the sale rail. Clearly label the bag/box FASHION RELIEF. Or you can organise a workplace clothing collection (men’s and women’s clothes and accessories) and Oxfam Ireland will pick it up directly from you. Just click here for more. Become part of the action by volunteering at FASHION RELIEF. You could even staff your own stall, joining some of the stars who have generously pledged their clothes and time. Click here to find out more. Come and join me for a glass of champers from 5pm that evening. The InterContinental is inviting anyone attending FASHION RELIEF to an exclusive VIP after-party from 5pm in its gorgeously chic ICE Bar. Thanks to our sponsors, the InterContinental Hotel and Marks & Spencer Ireland, you can enjoy a glass of champagne and nibbles and relax after a day’s shopping for just €20. All proceeds go to FASHION RELIEF. Places are limited so booking is essential. People in Yemen are struggling to survive on dirty water and meagre portions of bread three years after a Saudi-led coalition carried out its first airstrike on the country in its war with the Houthis, Oxfam said today. Families in remote areas of Amran governorate in the north west of the country told Oxfam they could only afford half a bag of wheat a month and had to walk three kilometres two or three times a day to fetch untreated water from a well. Several women told Oxfam they were struggling to make ends meet and had no money for clothes or other supplies after their husbands had been killed in the conflict. Since the war started the cost of food has rocketed. Rice is up 131 per cent, beans 92 per cent, vegetable oil 86 per cent and flour for making bread up 54 per cent. Over the same period the number of people going hungry increased by 68 per cent to reach almost 18 million people. Over 3 million people have been forced to flee their homes, more than 5,500 civilians have been killed and 2,000 more have died of cholera in a country where half of the health facilities are no longer functioning because of the conflict. With 22 million people in need of aid across the country, Yemen is already the world's worst humanitarian crisis and the site of the largest cholera outbreak since records began, with over a million suspected cases. Jim Clarken, Oxfam Ireland's Chief Executive, said: “Oxfam has been working in Yemen since 1983 and we have never seen a humanitarian crisis of this scale. Three years on from the eruption of this devastating conflict, the country is teetering on the brink of famine. Families are facing a daily struggle just to get hold of the bare essentials like food and water. “We are stepping up our work in Yemen to tackle this humanitarian crisis. Since July 2015 we have reached more than 2.8 million people in nine governorates of Yemen. “We are providing water and sanitation services, cash assistance and food vouchers, including 430,000 people as part of our cholera response to prevent and contain the disease. We are trucking water and providing cash for people to buy food. The appointment last month of Martin Griffiths as the new UN envoy to Yemen, and recent UN Security Council calls for moves towards a ceasefire and to ensure essential goods are given free passage, present an opportunity for the international community to reinvigorate efforts to achieve peace. Mr Clarken added: “Three years of war is more than enough. Too many bombs have been dropped and shells fired, too many people have gone hungry, too many lives have been lost. All sides need to call time on this war. The appointment of a new UN envoy to Yemen is a chance to push for a ceasefire and put the country on the road to a lasting peace. Footage, photos and feature stories are available. For updates, please follow @OxfamIreland. Since July 2015 Oxfam has reached more than 2.8 million people in nine governorates of Yemen with water and sanitation services, cash assistance and food vouchers, including 430,000 people as part of its cholera response. 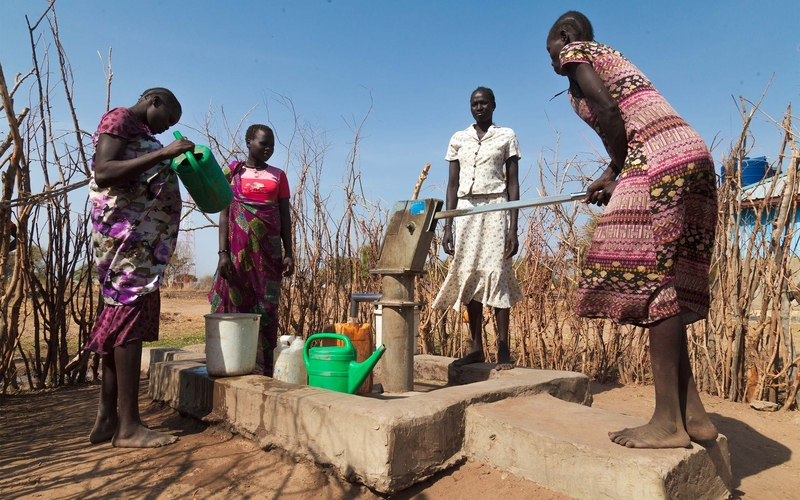 Oxfam’s water and sanitation equipment includes water storage tanks, buckets, tap stands, hand washing water dispensers, water testing and purifications kits, oral rehydration sachets, insecticide sprayers, pipes and fittings. Oxfam is repairing water supplies and carrying out disinfection of water storage and sources with chlorine, providing households with water purification equipment and distributing hygiene materials, constructing latrines and providing solid waste management facilities, training community volunteers to spread hygiene messages for cholera prevention and treatment, conducting public health campaigns, supplying oral rehydration sachets to ensure that people can quickly rehydrate when suffering from signs and symptoms of cholera. Left: Three of Jameela's children sitting inside the house in the afternoon. Photo: Ameen Al-Ghaberi/Gabreez Right: Mohammed* is a first-grade student. *Name has been changed. Photo: Ameen Al-Ghaberi/Gabreez. Millions of people wake up every day to a living nightmare – a devastating combination of conflict and drought has left them on the brink of starvation. Across East Africa, some 20 million people – that’s more than three times the population of the island of Ireland – are facing severe hunger. In South Sudan alone, around 6 million people are living in extreme hunger due to a brutal civil war, which is now in its fourth year. The violence has forced 3.5 million people from their homes and has decimated food production. If the fighting doesn’t stop, the situation will only get worse. Not knowing where your next meal is coming from must be a terrifying prospect for the men, women and children who live this nightmare every day. But Oxfam is there, providing life-saving clean water and food to those in desperate need. In Somaliland, 30-year-old Faria and her young family found themselves in a dire situation. Their livestock of 600 goats and 40 camels was almost wiped out because of drought. With just 10 goats left, Faria, her husband and their six children moved to Karasharka refugee camp where they were given the water and food they urgently needed. 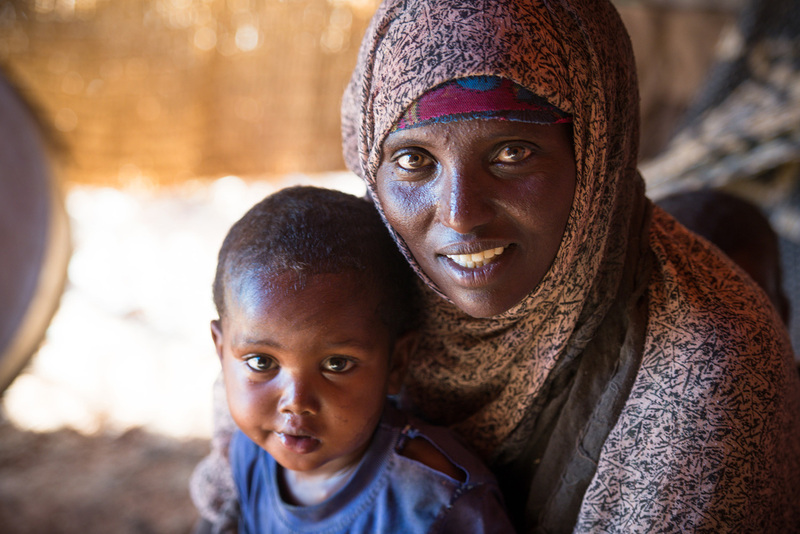 “We moved because of lack of food and water,” says Faria, who is seven months pregnant. “We used to live in the rural area and all our animals perished. Faria and her young family found themselves on the brink of starvation, but they survived. Sadly, there are millions of other young families across the world who continue to live this daily nightmare. 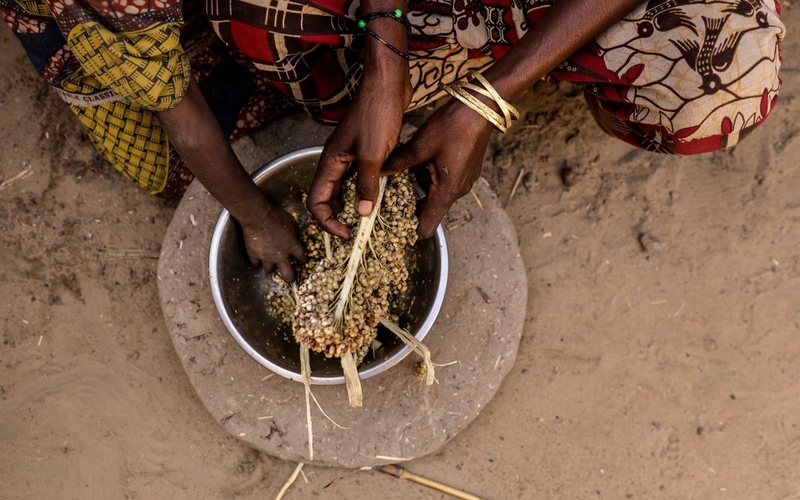 The drought which has struck Somaliland is also the main driver of the hunger crises in Ethiopia, Somalia and Kenya, while conflict has left an estimated 2.5 million people in Nigeria without enough food to eat. Elsewhere, violence has also been plaguing Yemen where as many as 17 million people are in desperate need of food. Oxfam is on the ground, helping communities in hunger-ravaged countries, providing families with food, clean, safe drinking water and sanitation. But to save lives, we need to do more – and we need to act fast. Last November, Irish Aid announced additional funding of €750,000 to the UN Yemen Humanitarian Fund. This brought Ireland’s total direct humanitarian support to Yemen to over €4.8 million for 2017, and almost €11.3m since the conflict began. In addition, last year, Ireland is the fifth largest donor to the UN Central Emergency Response Fund, which has allocated USD $25.6m to Yemen. Due to the fuel shortages and uncertainty of imports, one of Yemen’s major food companies has reduced its grain milling operations and another is struggling with milling and distributing food inside the country. Companies face arbitrary restrictions by parties to the conflict when moving food around the country.